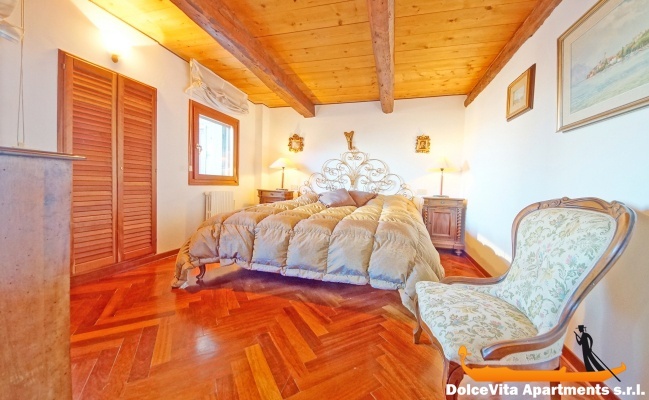 Apartment N. 305: It can accommodate up to 4 people, it is rented from 125 € per Night (not per person). 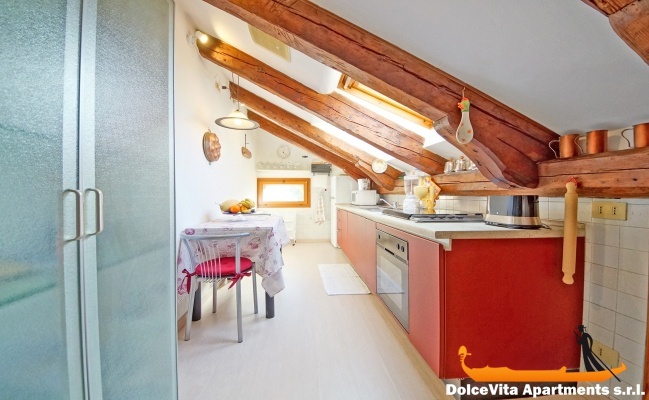 Venice Penthouse with Altana: Comfortable attic on the fourth floor in the historic center of Venice, in the Castello area. 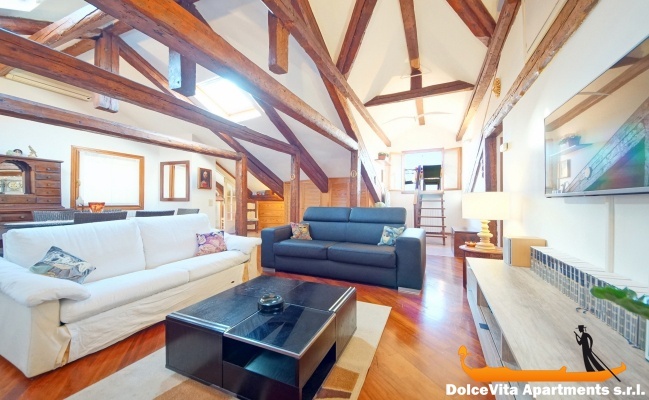 Furnished with care this apartment can accommodate up to 4 people and it has a roof terrace from which you can enjoy a magnificent view of the Grand Canal and the rooftops of Venice (one also sees the bell tower and the dome of the basilica of St. Mark's). 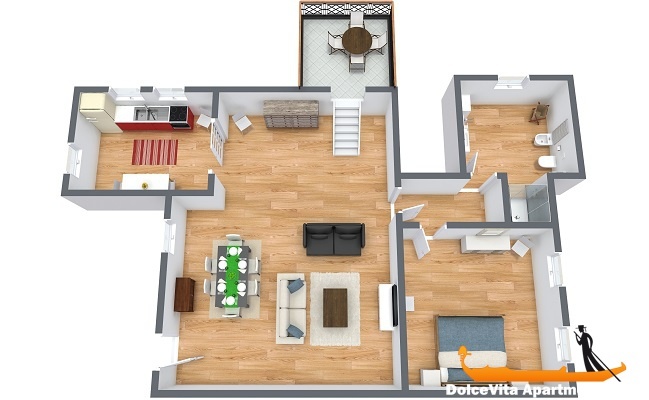 The apartment consists of: kitchen, large living room with double sofa bed, bedroom and bathroom with shower. 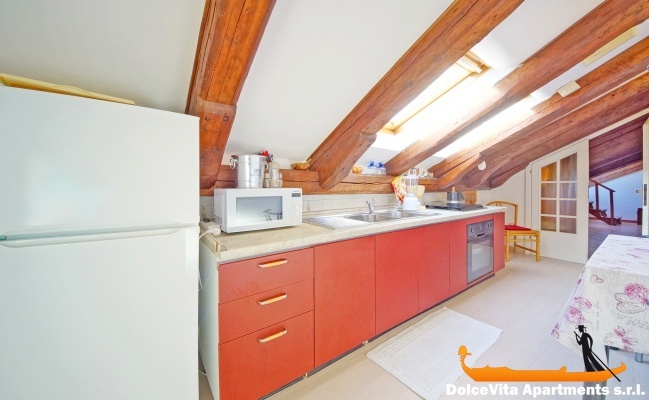 The kitchen is fully equipped with: oven, microwave, toaster, blender, kettle, fridge and freezer. Other amenities include: hairdryer, washing machine, air conditioning, Wi-Fi and a flat-screen TV. At your arrival you will also find sheets, towels and blankets. For families with small children, a baby cot and a high chair are available. 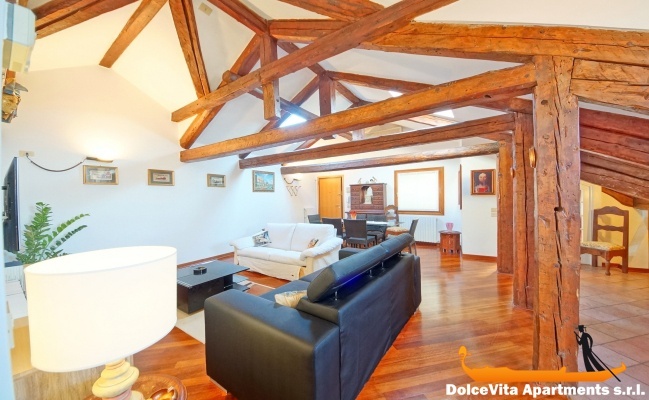 The apartment enjoys a central location, which allows you to reach on foot all the main monuments of Venice. 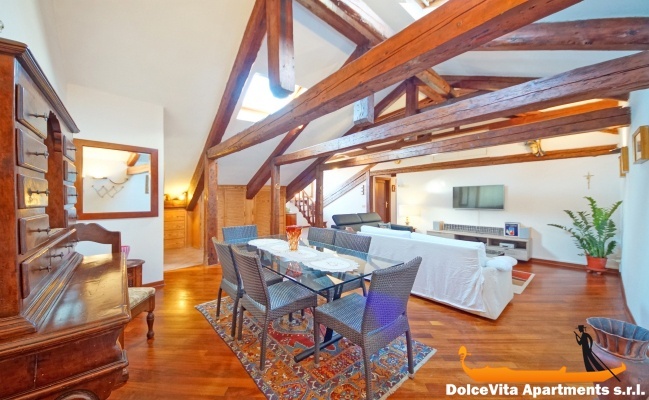 It is 650 meters from the beautiful St. Mark's Square, 300 meters from Venice Arsenal and 500 meters from the Biennale. Finally, we remind you that the building, where the attic is, has the lift. CHECK-IN WITHIN MIDNIGHT, NOT AFTER. We are delighted with apartment 305. 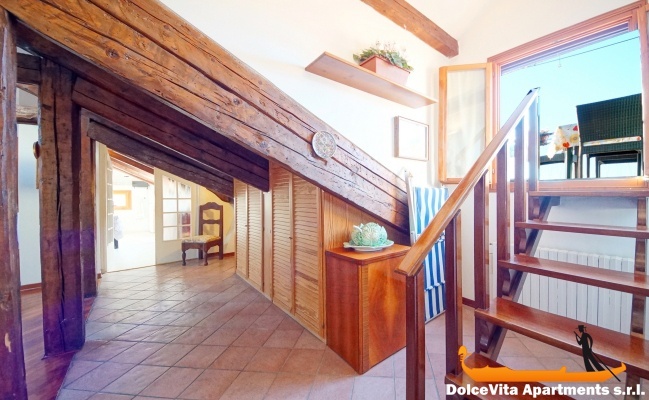 It is beautifully located, large and comfortable. There were many useful things in the kitchen (ex. orange press) the bathroom was very full and the bedding very good. We loved the terrace especially since the weather was very mild. Also enjoyed the elevator after our long walks in town. The apartment was very quiet. Our opinion is absolutely positive and we can only recommend it. Thank you for your services that worked perfectly. 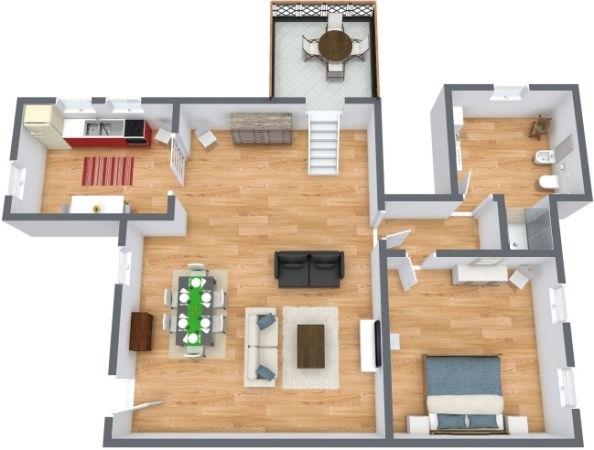 Our vote for the apartment is therefore 5. Very well placed, at the 'Arsenale' stop of the vaporetto line 1, 10 minutes from the Saint Mark square. 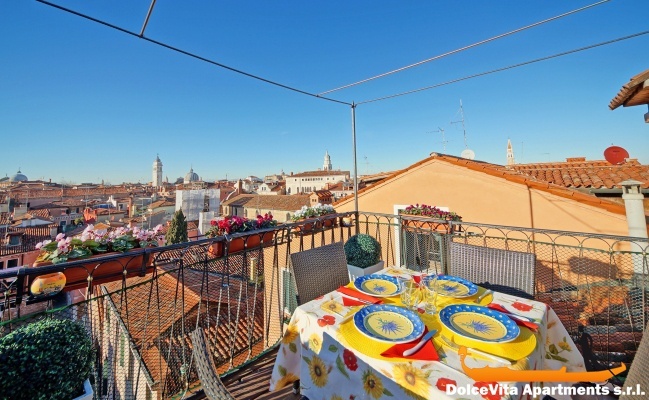 Roof terrace overlooking pleasant 12 towers and views of San Giorgio and 'Santa Maria della Salute'. Everything went very well. So 5/5 for the service too. 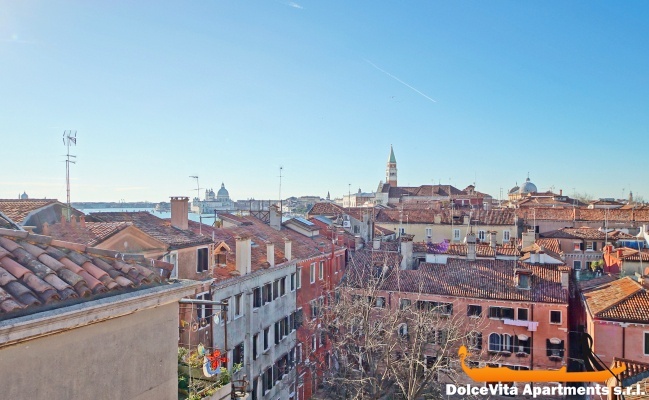 The location was great, less than 10 minutes walk from St Mark's, plus the view from the rooftop terrace was fabulous. The apartment was a good size, nicely furnished. There's a small back street cafe just outside the front door and it's a great place to pick up some breakfast or a late night drink. 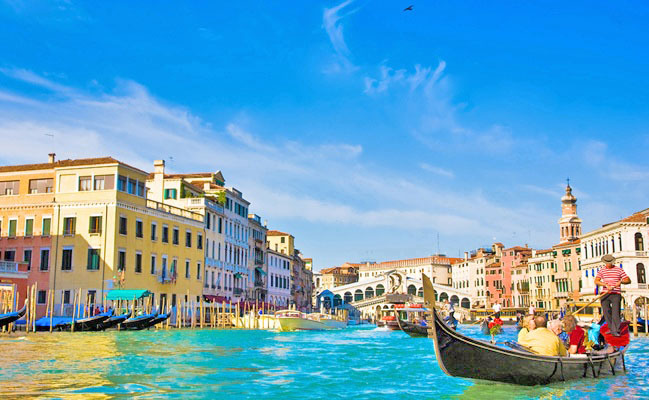 Just a few metres from the door is Al Covo restaurant which does stunning food. 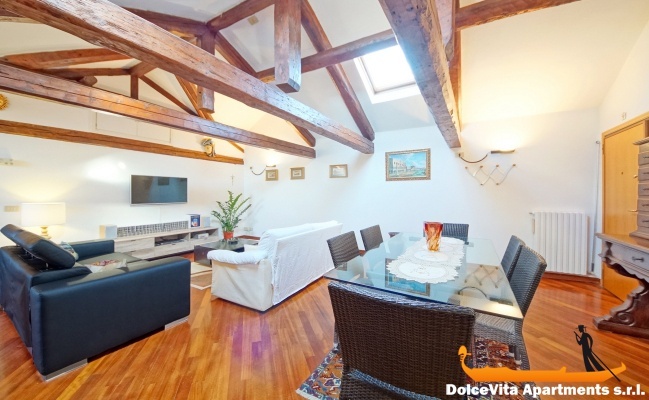 We would recommend this apartment as a good place to stay. Just splendid as structure, as location compared to the bus stop and the city center. We thoroughly enjoyed our stay at Casa Jaqueline. 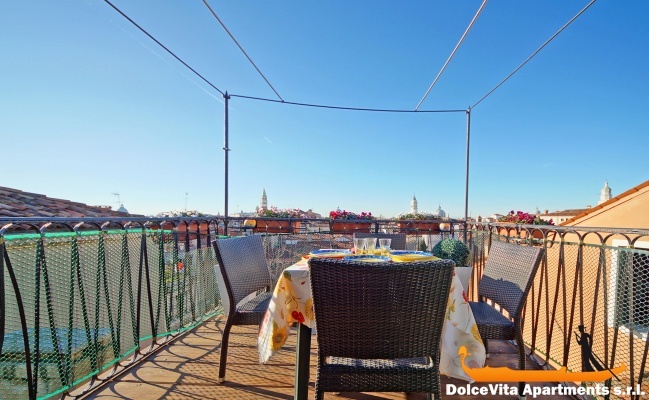 The apartment is unique - excellent roof terrace views - the Doge's Palace and tower can even be seen. We very much enjoyed the views at sunset with a glass of prosecco :) The apartment is very spacious and quirky, it felt very Italian (as it is situated at the top of a fabulous old building, a stone's throw from the ferry stop) yet had a modern twist to the decor which gave it a unique character. The elevator was very important as we were tired after hours of sightseeing in the heat. 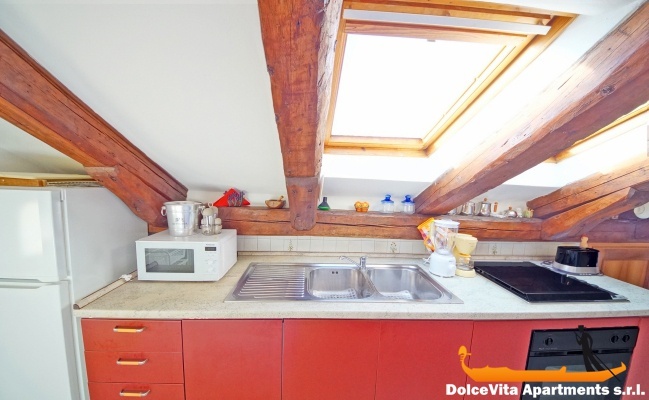 The apartment has everything you need in terms of self catering - good kitchen equipment and a washing machine if needed. 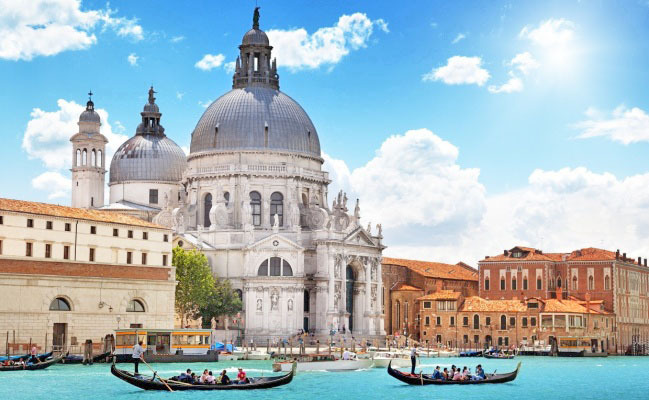 It is close to everything you could possibly want to see in Venice - very central. Very pleased with the service provided. I had a few queries following the booking which were all dealt with very efficiently. 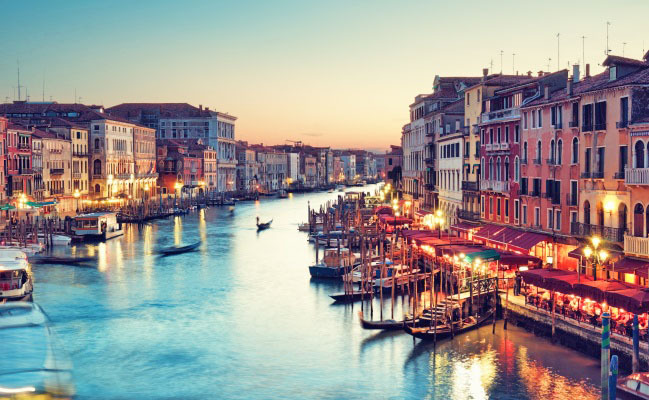 The owners were slightly late in meeting us in Venice and as I couldn't get through to their phone, I called the team at the office who were able to make contact with the owners very quickly so we were able to meet them soon after - thanks for your help. Perfect service, very professional and efficient service, Eugenia thank you! 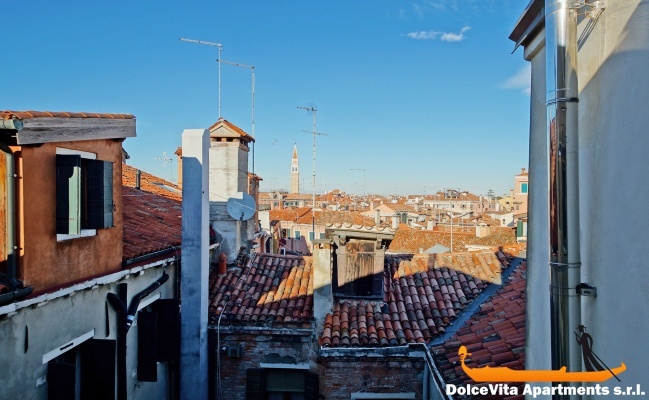 We had a great time in Venice in the apartment N.305, we rate it a 5/5. 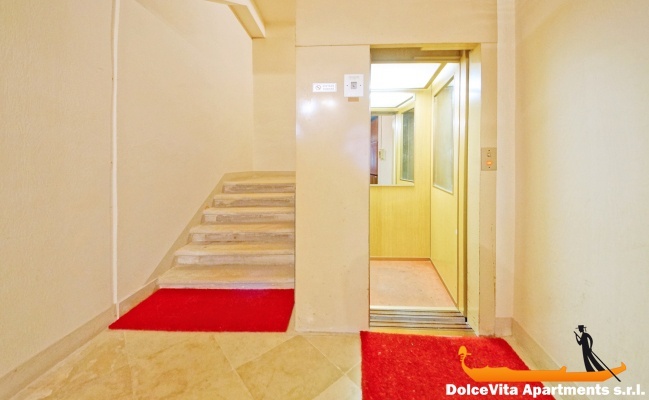 Very nice, very clean, quiet building, conveniently located ten minutes walk from St Mark's Square. 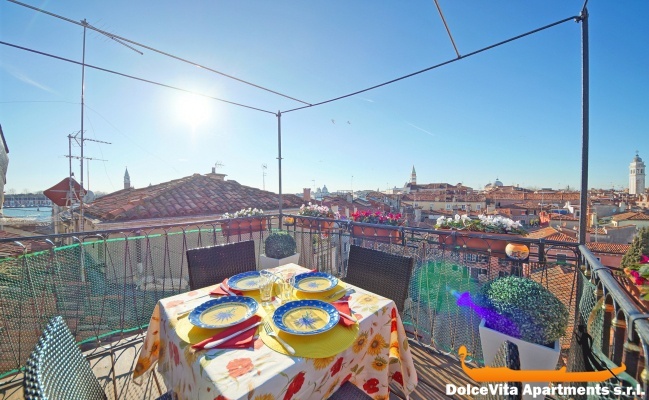 Lots of charm with terrace, wonderful view over the rooftops of Venice.